← White Cliff – The Latest Video! 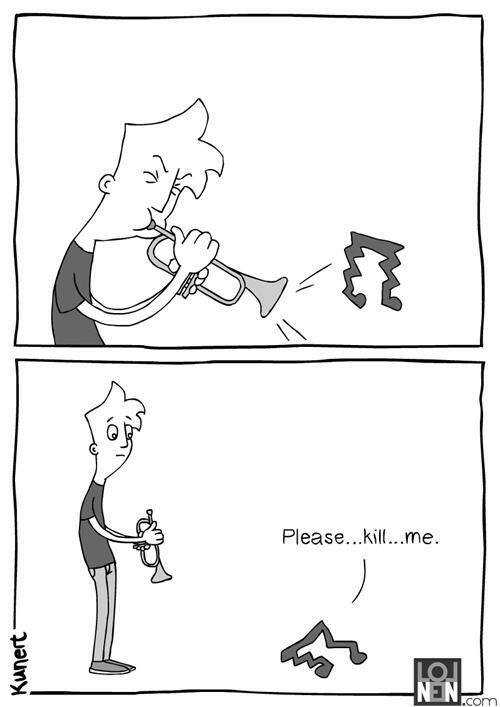 Image | This entry was posted in The Trumpet o-iii<O and tagged cartoon, humor, Humour, kill, me, Music, musical, please, Trumpet. Bookmark the permalink.